World markets have been digesting Wednesday’s data on the US economy and most indexes have seen losses following Wall Street’s lead. The weaker-than-expected GDP figures and dovish tone from the Fed have caused concern over growth prospects for the world’s number one economy. Winter weather was a factor in the slower pace of growth in the first quarter but along with other recent data yesterday’s report show that there is still some softness in the economy. Analysts expect the Fed to delay any interest rate rises until at least the third quarter. 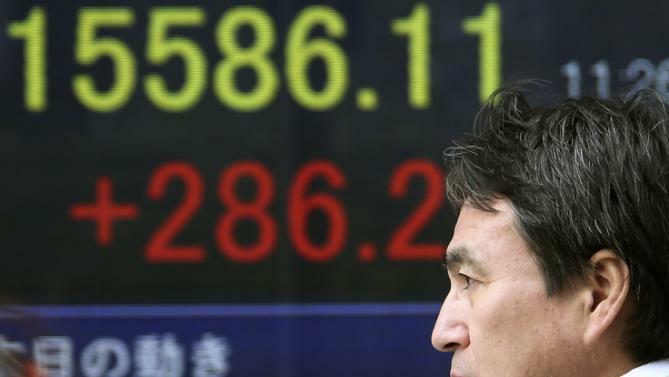 Asian markets have closed with losses following a day of sell-offs following the US news. Japan’s central bank voted to continue its stimulus program. Many markets in the region are now closed for holidays. In Europe the US is also in focus along with local earnings results. Most markets are lower, except for London. Official figures this morning show that the Eurozone is out of deflation with prices flat for the first time in 4 months. US stock futures are trending lower. Oil is trending higher (Brent $66.01, WTI $59.10 at 5.50am ET). Gold is trending lower.